With the rapid expansion of the FinTech sector in Kuwait, the country’s central bank is embarking on a landmark digitalisation programme. Tariq Al Usaimi, who as its head of digital strategy is leading the evolution process, tells us analytics and Big Data have become the foundation for transforming the financial sector. Tariq Al Usaimi, the newly appointed head of digital strategy for the Central Bank of Kuwait, has a mandate to transform both the bank itself and the country’s financial sector. Recently appointed as the bank’s CDO, he is on a mission to drive its digitisation as well as transform the whole banking sector in Kuwait. He is able to take advantage of a wealth of IT experience having served as CDO at the National Bank of Kuwait and CIO at Kuwait Credit Bank. “One of the mandates that I have is to transform the Central Bank of Kuwait to have it more digitalised, to transfer all the paperwork to digital processes and to transform the whole banking sector in Kuwait,” he said. 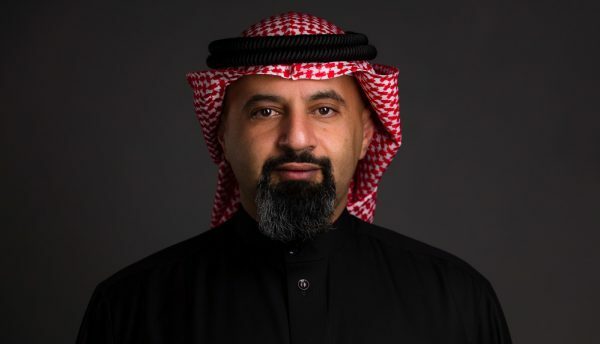 The rapid expansion of Kuwait’s FinTech sector, the importance of Big Data and analytics platforms and the disconnect between the expectations of young people and the way they interact with financial institutions are all topics he feels strongly about. Is part of your new position to transform the central bank’s approach to technology? One of the main mandates is we have to transform ourselves and become more agile and more adaptive. For example, in Kuwait back in 2013 we only had one FinTech. At the end of 2018 we had 63 FinTech companies operating in Kuwait. So with that influx of FinTechs we need to re-engineer and digitise our processes and make a lot of investment in AI, analytics and Big Data. Do central banks need to be more progressive in their adoption of analytics? Yes. With this influx of FinTechs, analytics and Big Data have become the foundation for transforming and better regulating and supervising the financial sector. Central banks across the globe are now racing to put in their Big Data and analytics platforms which can supervise financial transactions across their borders. Is one of your main tasks is to formulate a strategy to digitise the banks? It’s more digitalising the infrastructures that the banks will ride on. At the central bank we don’t have a direct connection to the consumer. We regulate plus we supervise the local banks. The transactions between the banks are supervised and overseen by us because the central bank is a regulator. It’s crucial for us to reinvent ourselves. We are moving towards more and more being a 24/7 central bank. Do you think having someone in charge of digital strategy is a must for organisations? Exactly. This position is starting to become not just ‘nice to have’ but a ‘must’. Having somebody within financial institutions help navigate these changes, and have to adapt technology and increase user acceptance within their organisation, is very crucial. I came from an IT background and now this has become a ‘must’ in this position as a CDO because during your education as a CIO you have been introduced to problem solving skills and techniques. On the business side they are not aware of this – the techniques and principles that we are using. Today with the evolution of agile methodology, digital design thinking and the Innovation Lab principle, these are tools as a CDO that we have in our hands in order to transform an organisation. You need somebody in the organisation that can speak the business language as well as the IT language. Can I ask you how the central bank is investing in analytics and Big Data? This is something that every central bank is moving towards. This has been labelled as a SupTech or Supervising Technology and the foundation for that is analytics. 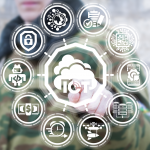 Once you have the right data, and the validity and privacy of that data is checked, then we can deploy multiple tools on it in order to make it meaningful information. We can be ahead of the curve instead of looking backwards through the mirror of what happened yesterday or the week or quarter before in order to make a prediction about the future. Analytics isn’t only going to be one tool. It’s going to be multiple tools. Every central bank is struggling to have a consolidated view of all of their financial indexes in one place on one dashboard. The software market today is not mature enough to provide the central banks around the globe with the technology needed to do this. How important will the use of AI and Blockchain be for the future of the bank? There is a huge amount of promise for AI in the financial sector especially for detecting fraud. AI will be the pinnacle of fraud investigation from now on. There is another side of AI for the financial sector which is empowering the consumer. Today in the market we are seeing this happening with something called Personal Finance Management. This will tell you how to better spend your money, how to better save your money and how to do whatever goal you are going to put into place. Today with AI and Personal Finance Management this information will be accessible for the masses whereas before it was only accessible for the high net-worth and done by face to face consultation. What can you tell us about the explosion of FinTech in Kuwait? We are seeing a lot of traction of FinTechs in Kuwait. Some of these became regional powers as they spread from Kuwait all the way to Oman, and some of them beyond the GCC. We also saw an influx of international investors investing in these newly established Fintechs. Going forward FinTechs and the FinTech ecosystem is going to play a vital role in the economies of every country. From our perspective as the Central Bank of Kuwait we want to see a healthy FinTech ecosystem running in Kuwait. What is the future of Blockchain in the financial sector? This is a technology that is promising a lot but we would like to be very cautious. We would like to see how it is being implemented as the impact on the person using Blockchain is likely to be huge. Whatever is written in the block cannot be rewritten. If there was a mistake and a transaction needs to be reversed it cannot be reversed in Blockchain. A person’s credit history could be ruined for life. So we are very cautious about this technology although we believe in it and we believe it will transform the banking sector but we have to be cautious to see how it will be implemented. How is the banking sector serving young people? There is a big disconnect from the expectations of young people and what the current financial systems are providing to them. They cannot comprehend why they need to go into a bank and take in a small piece of paper and sit down for half an hour to have somebody serve them. They are very ‘digital native’. They know how to use a computer. They know how to type. They have been feeding themselves and clothing themselves using their mobile. They have been communicating to their friends through digital means. This is not just a phenomenon in Kuwait. There is this huge disconnect globally. They want the same consumer grade of flexibility that they use to feed themselves, clothe themselves and do everything they need to do. They want the same thing to apply to their financials through their mobiles. Some of the smaller banks are more agile and more youth-orientated and they are gaining market share. Some of the bigger banks are a little bit slower attending to these needs and are maybe more conservative. 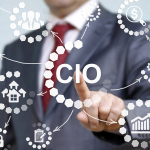 ManageEngine expert: What priorities should a CIO have?